A long spell of unemployment can leave a hole in your work history and make finding a job more difficult. Here's how to turn it around. John Hammink says volunteering not only helped fill the gap between jobs, but made him a more marketable candidate. Meet some of CNNMoney.com's trusted career coaches and hear their best advice for finding a job. NEW YORK (CNNMoney.com) -- It seems the longer you've been out of work, the harder it is to find a job. That's because a hole on a job seeker's r�sum� is still a stigma in the workplace, despite the fact that long-term unemployment has become par for the course in this economy. With job openings few and far between, the average duration of unemployment has risen to over six months, according to the Labor Department's most recent data -- the longest length of time recorded since the department began tracking data in 1948. "In tough economic times the gap just increases," explained John Dooney, manager of employment and HR strategy for The Society for Human Resource Management. Extended stints on unemployment are more commonplace now "as the market is more challenging in terms of recruiting," he said. "A lot of people have been out since early 2008, particularly in the financial services market," added Jonathan Mazzocchi, general manager of the accounting and finance division at staffing company Winter, Wyman & Co. in New York. "It makes it more challenging to find a job." Being out of work for any stretch of time can weigh on job seekers. Applicants may feel they are less marketable or have greater difficulty networking just because they are disconnected from other employed peers. Employers may also show preference for someone who is employed because they're "a hotter commodity," Mazzocchi said. But that doesn't mean that there aren't things job seekers can do to make themselves as marketable, if not more so, than their competition. Here's some advice from our career experts on how to turn a r�sum� blemish into a benefit. Address it head on. An inconsistent work history could be viewed as a red flag to potential employers, and applicants should counteract that with an explanation under the employment section of their r�sum�. "Don't just explain it in the cover letter," Mazzocchi said. "Most employers don't read the cover letter, so the r�sum� is critical. The cover letter doesn't always get passed along." Major events at a former employer such as company-wide restructuring or Chapter 11 can help explain a departure from a previous job. Also, raising children or caring for a friend or relative with an illness should be noted if they contributed to your absence from the labor market. "You can put things in there to help bolster your case," Mazzocchi said. Turn a negative into a positive. Job seekers should indicate that they have done other activities to compliment their job hunting, Dooney suggested. Consulting, part-time work, even volunteering or attending classes or seminars will enhance an applicant's viability. "Once you hit that two-month mark of being out of work, get a contract job, even if it's outside your industry," Mazzocchi said. "I can now add that on my r�sum� and it's going to make me that much more marketable." 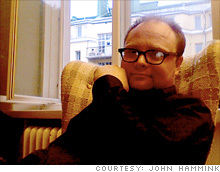 John Hammink, 39, worked as a consultant in software engineer for a number of years until his job opportunities suddenly dried up earlier this summer. Instead of hitting the pavement, Hammink spent the summer volunteering at other telecommunications companies so he could learn new software and hardware design. Not only did the additional skills make Hammink more marketable, but "it made potential employers look more favorably on me because I was being proactive," he said. "That helped me get my current assignment, a six-figure contract for a major telecommunications company in northern Europe." Fudge but don't falsify. There are subtle ways job hunters can de-emphasize the amount of time between jobs. Mazzocchi suggests denoting each period of employment in years instead of months. For example, a job that lasted from 2008 to 2009 will look better than working from July 2008 to February 2009. "It can be ambiguous," Mazzocchi said. Don't make excuses. Once you get your foot in the door, don't focus on why you were out of work or out of luck. Rather, focus on the new skills you acquired, projects you worked on or opportunities you created. "Take what you've done in the interim and sell it," Mazzocchi said. Many employers might go straight to the gap on your r�sum� and ask about it directly in an interview. "Be positive and upbeat about it," Mazzocchi suggested, "say, yes I was down on my luck but here's what I've learned." Give yourself a break. Keep in mind that a year of widespread layoffs, many job seekers are in the same boat. With thousands of jobs being cut and employers afraid to hire, unemployment doesn't make you less valuable. Employers may be particularly understanding given the current economic circumstances, noted Dooney. So if you can give yourself a break, hiring managers might do the same.